EA impressed many this year with its press conference that was filled with AAA blockbusters like Mirror's Edge Catalyst, Star Wars Battlefront, and Mass Effect Andromeda, but if you ask me, the presentation that stole the show wasn't any of those hotly anticipated titles. It was an adorable physics based puzzle platformer by a small Swedish studio about a tiny yarn doll, being demonstrated by a visibly nervous developer who shared his overflowing passion and love for his game with every word that he spoke. 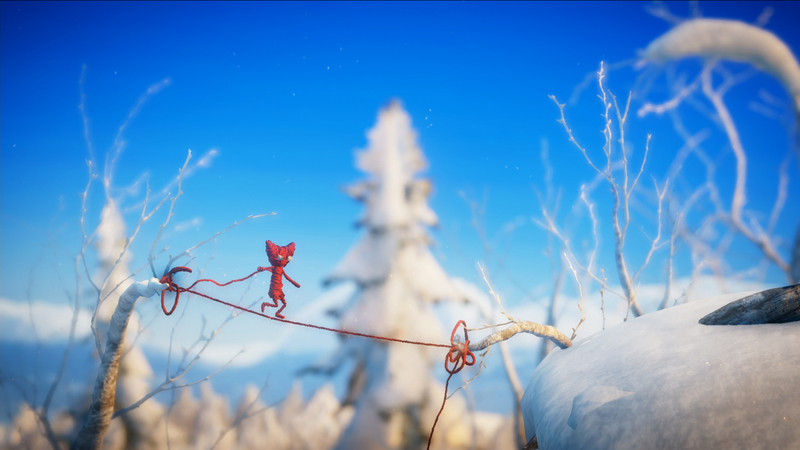 "[The press conference] was hugely emotional, a bit nerve wracking, but also I was just so happy, so excited about it," said Martin Sahlin, creator of Unravel. "They were saying before, in the green room, 'are you nervous?' and I said 'yeah, I'm nervous.' and then they asked if I just wanted to get it done and I said 'No, I don't want to get it done, I want it to last forever. I want to get up there and do it, and do it, and do it; I could go for hours." 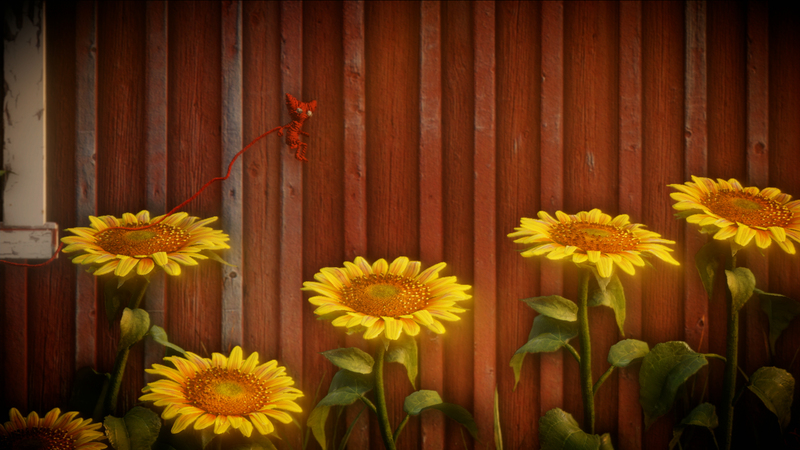 The good news is that playing Unravel is every bit as joyful as it was watching that presentation. 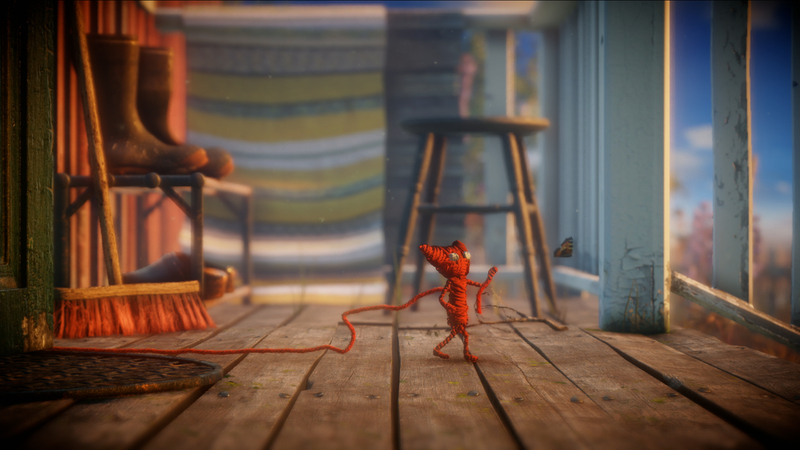 Unravel's main gameplay hook is the fact that Yarny, the game's adorable yarn mascot, has one end of his yarn permanently stuck off the left side of the screen. 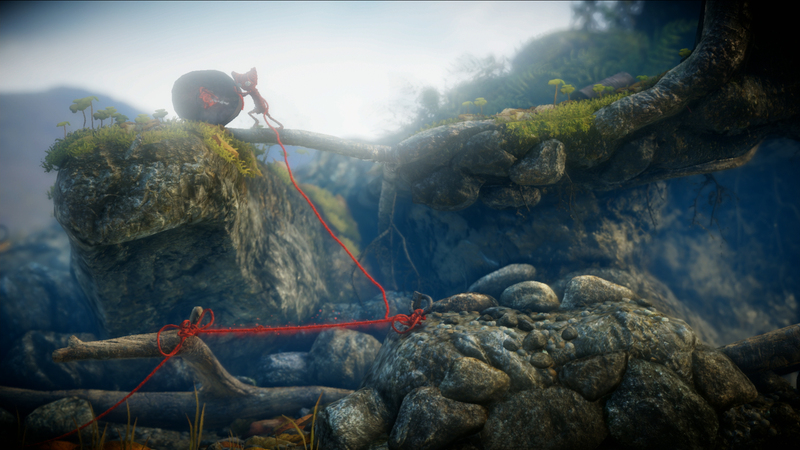 As the player is adventuring to the right, leaving a trail of yarn that goes all the way back to the beginning of the game, Yarny will continue to unravel until he literally cannot move any further. In order to make progress, the player must reach special yarn pickups that will refill Yarny's yarn, and essentially double as checkpoints. Yarny has a wide assortment of really creative moves to help him maneuver in the environment, including the ability to grapple on to objects and swing from them, use his yarn as a piece of rope to climb up or down, and you can also tie your yarn between two objects to create a trampoline of sorts to reach high platforms. You need to be careful though, because you only have so much yarn to work with until you reach the next checkpoint. There was a moment in the demo where I just about made it through to the next checkpoint, but because I used my yarn inefficiently and didn't untie it from an anchor point earlier in the puzzle, Yarny ran out of yarn when I was just within arm's reach of the next checkpoint, and I had to watch as a shriveled up Yarny desperately reached and tugged on his yarn, unable to move forward. Yarny is a surprisingly expressive little guy for something that only has two eyes to emote with. 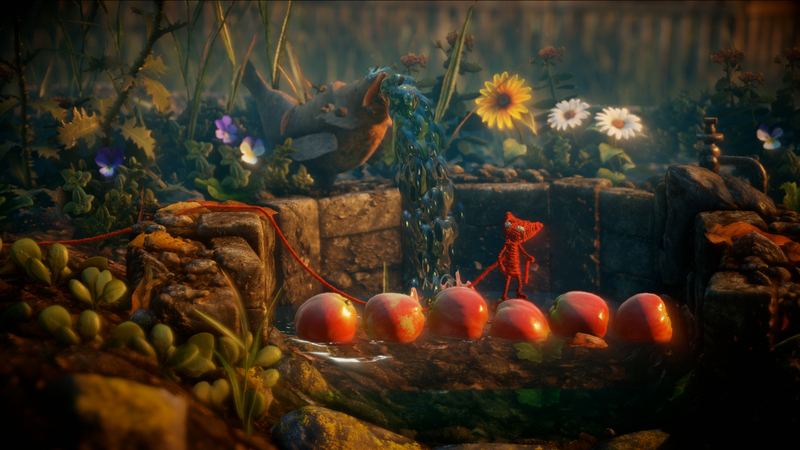 At the beginning of the demo, Yarny looks around a bright and colorful countryside with wonder and fascination as he hops across crates, swings from trees, and interacts with pieces of fruit to solve puzzles. But in the second half of the demo, the tone shifts dramatically as the setting changes to a stormy forest, where falling rocks and precariously placed barrels constantly threaten an obviously terrified Yarny, leading to several puzzles that feel very reminiscent of Limbo, where the slightest bit of hesitation when it comes to platforming can lead to a very quick death. 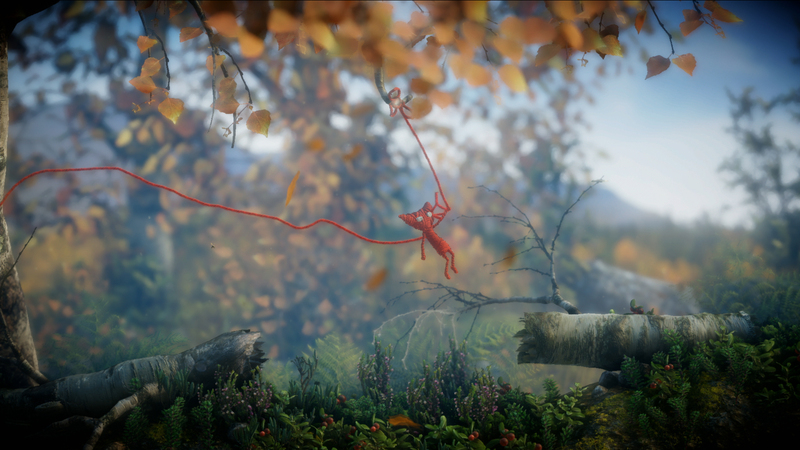 As for the story of Unravel, Sahlin is intentionally designing the game to make Yarny's motivations something left up to interpretation by the player. "There's definitely a story about longing, loneliness, and trying to reconnect people that belong together, but we don't want to be too heavy handed with the storytelling," said Sahlin. "I think that the best stories are the ones that you get to make yourself. You get to experience them rather than being told them." 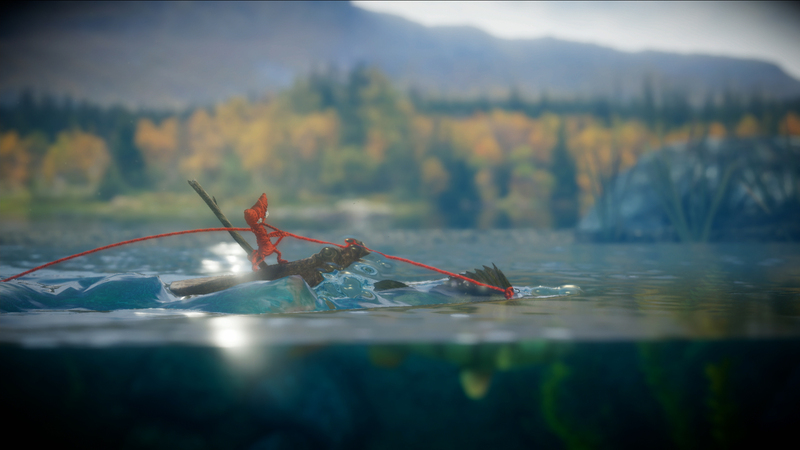 In the end, I walked away from my demo with Unravel with a huge smile on my face. It's one of the most clever and charming puzzle platformers I've ever played, its main mechanic of using your own yarn as the main method of solving puzzles is unique and allows for some really clever tricks, and most of all, the game is just brimming with love, something that almost everyone could see just from that press conference presentation. "I'm completely stunned with the response. I've never seen the internet so nice in my entire life. I was literally in tears when I went to bed last night," said Sahlin. 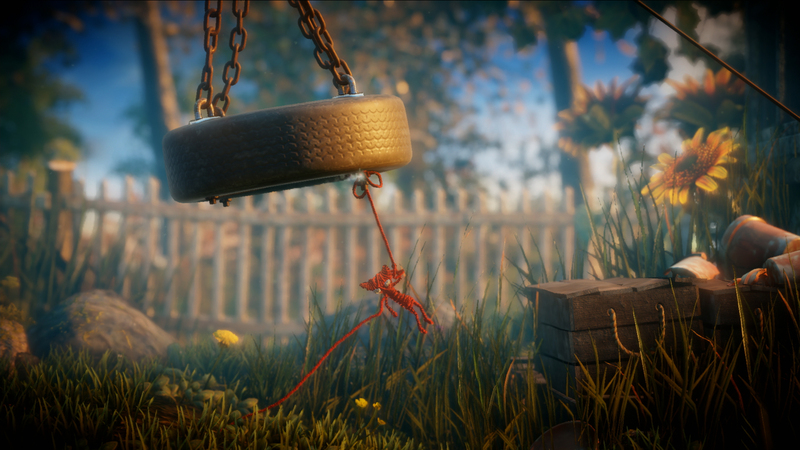 Unravel currently has no release date, but it is planned for release on Xbox One, Playstation 4, and PC.